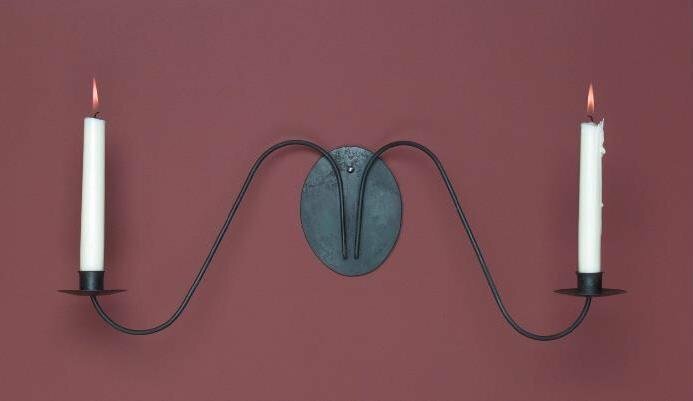 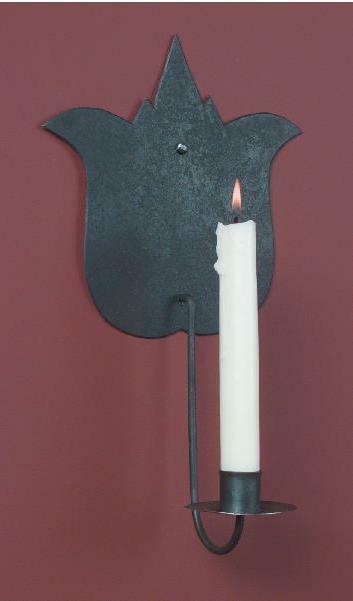 Hand Forged Early American Wrought Iron Lighting were a staple of Colonial life. 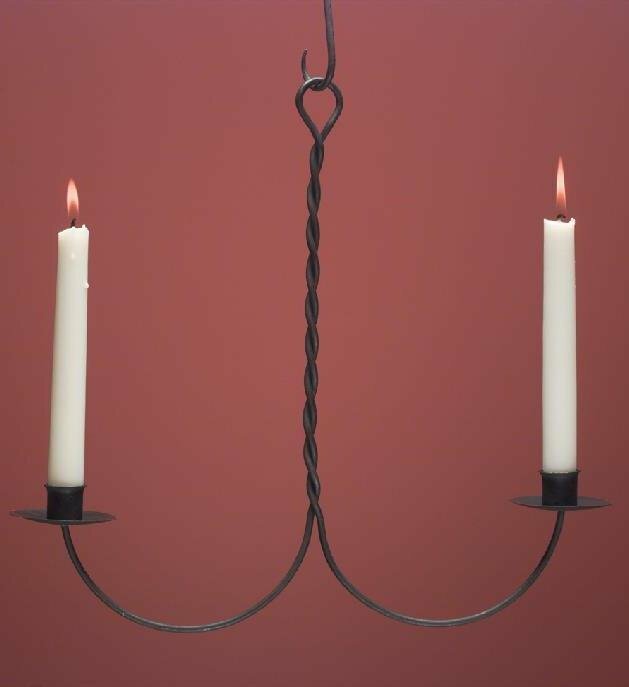 These simple candle Wrought Iron Chandeliers are hand forged by our Blacksmith, using the same tools and techniques of the early Blacksmith. 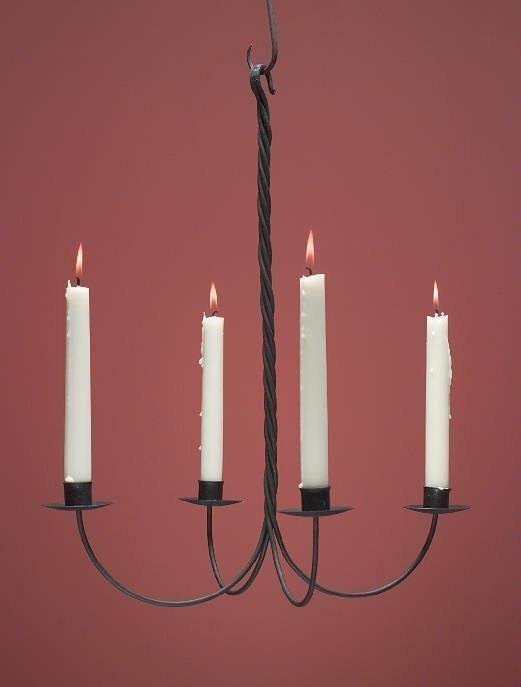 In keeping with the historical accuracy of these pieces, these hand forged wrought iron chandeliers are made to accommodate candle light only. 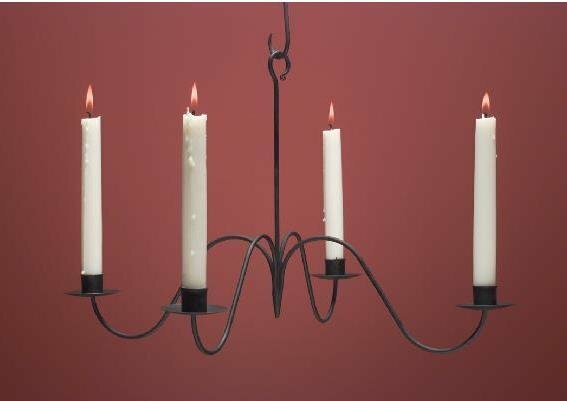 The graceful lines of these primitive wrought iron candle chandeliers will add an authentic Early American accent to any room in your Colonial style home. 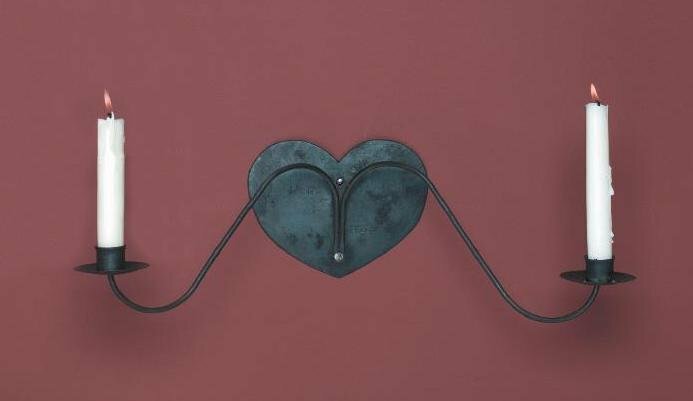 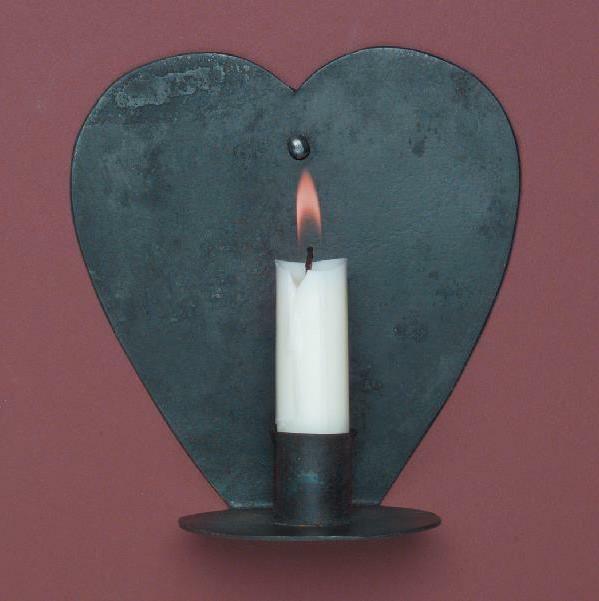 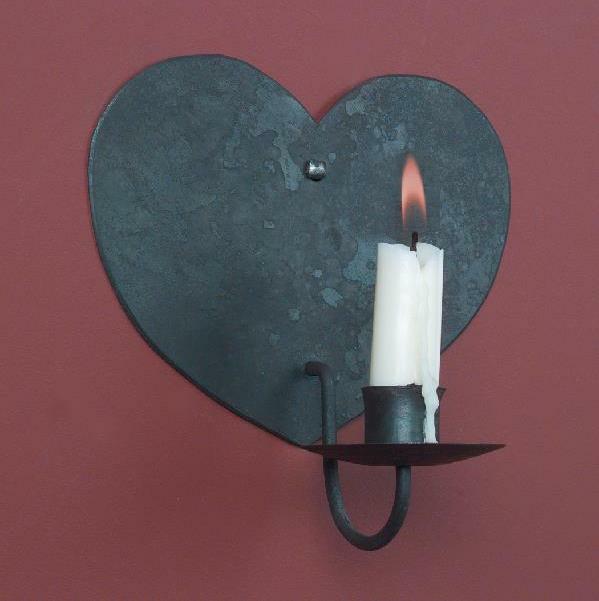 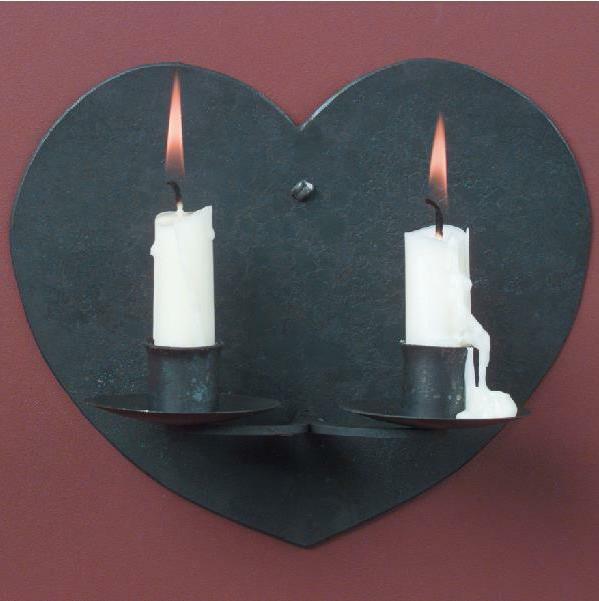 Hammerworks Wrought Iron Sconces are hand forged with historical accuracy by our Blacksmith, and are made to accommodate candle light only. 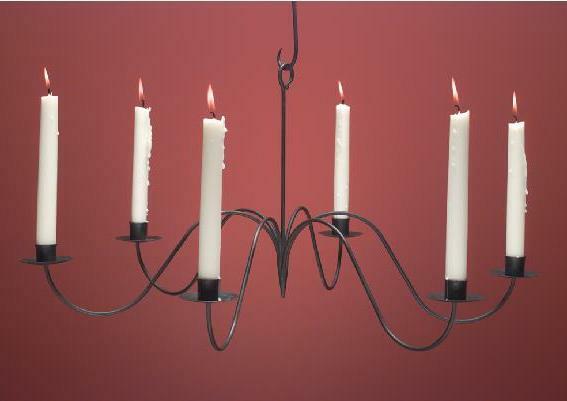 The one exception among our wrought iron lighting pieces is the wrought iron candlestand. 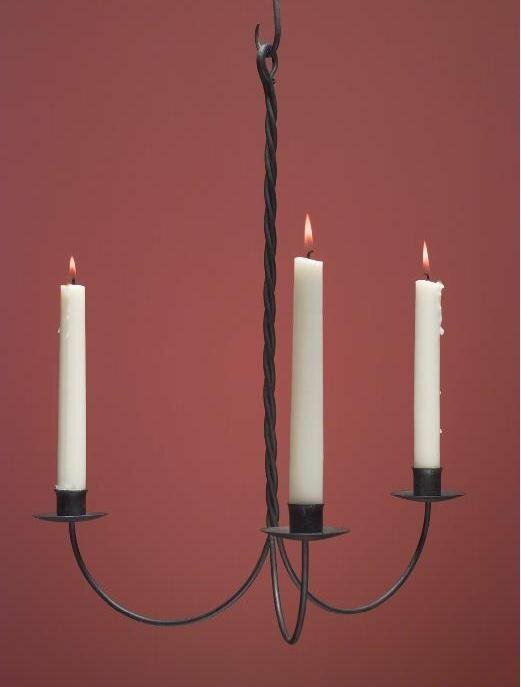 This handmade wrought iron floor lamp can be made with your choice of electric candles or the more traditional candle version.